Much comfortable, bigger, cost-efficient and hi-tech. 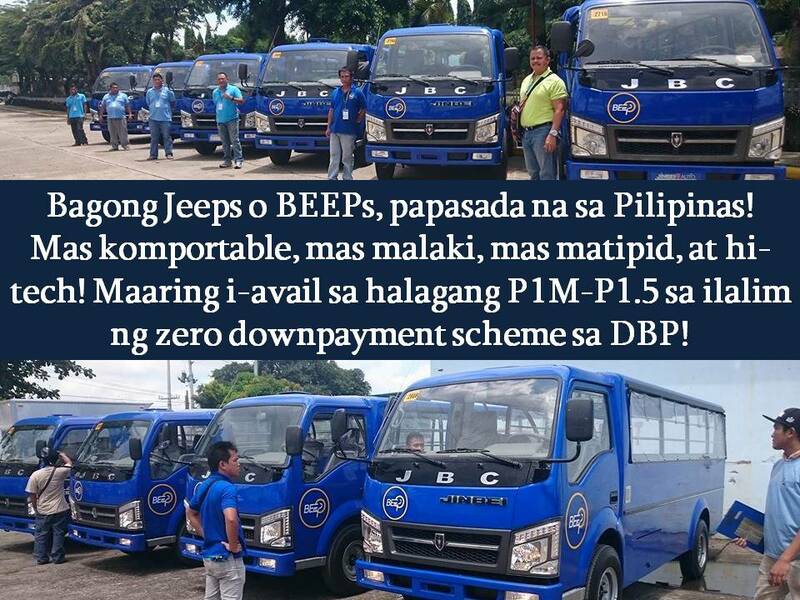 This is how they describe the Bagong Jeeps or BEEPs that can accommodate up to 25 passengers. 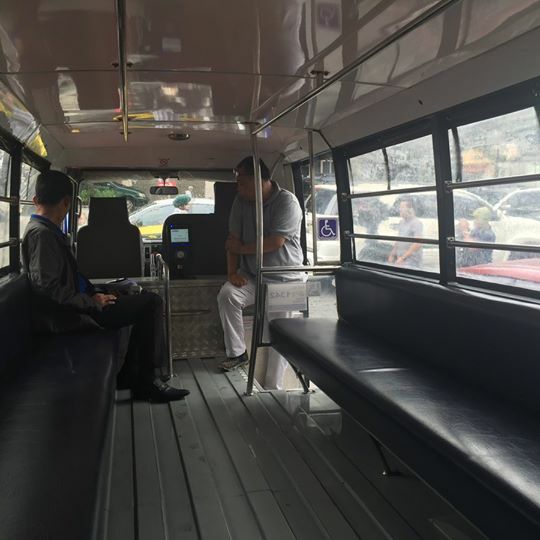 For the next three years, commuters can expect for some 10,000 electronic jeepneys in Philippine roads. The BEEPS has a television to entertain passengers, global positioning system (GPS), dashboard camera and CCTV. It is environment-friendly and fuel efficient but the fare is the same with the other jeepneys. 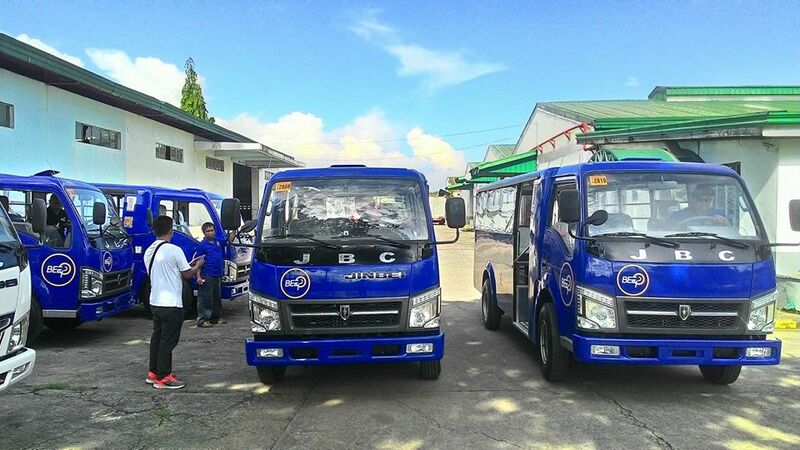 Today, there are more than 200,000 registered jeepneys in the country and the aim of these e-jeepneys is to boost the number with clean energy vehicles. According to the transport group, Kilusan sa Pagbabago ng Industriya ng Transportasyon (KAPIT) Chairman Atty. Vigor Mendoza II, they are targeting to acquire 1,000 jeepneys in Metro Manila in the next six months. 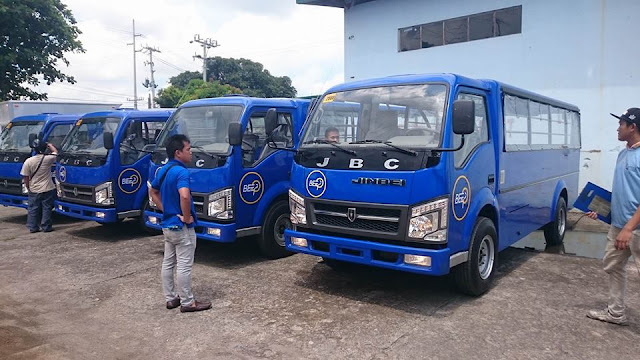 Jeepney operators may avail the Bagong Jeeps or BEEPs for P1.0 million to P1.5 million, under a zero-down payment scheme. The Development Bank of the Philippines (DBP) will finance the program where operators pay a monthly fee of P27,000 for seven years following a six-year grace period. "We're in the vicinity of around P5,500 to P6,000 a day. Kung no down payment, they have to pay around P27,000 a month or P1,000 a day," Mendoza noted. "In fuel savings and maintenance alone, halos kuha na nila 'yung P1,000 nila. Sa fuel, they save around something like P280 a day, kasi 10-liter savings a day. On maintenance, they save around one to two hundred pesos a day. Plus the increase in revenues, pasok na pasok na 'yan," he added. 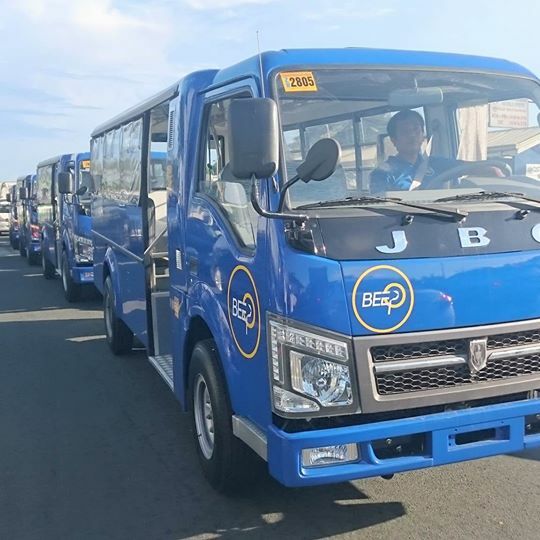 With 540 to 660 passenger load transactions per day, BEEPS supposedly entail a maintenance cost of P1,500 per month. 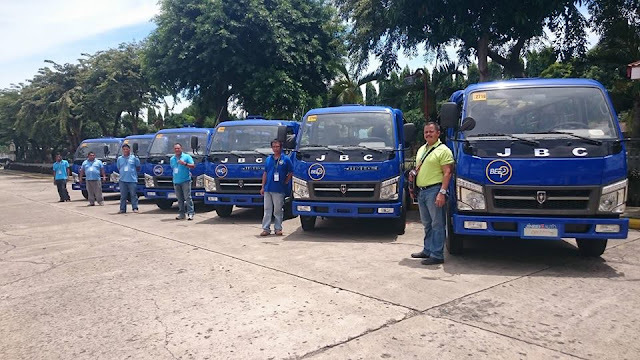 Mendoza added that there are some 500 pending applications from operators under zero-down payment program but not all of the will pass because both operators and drivers are subject to periodic seminars. This October, the City of Manila has phased out the gasoline-run tricycles, kuligligs, and pedicabs and introduce an electronic tricycle or e-trike to lessen the pollution.